Factory-Assembled Flexible Lines, Ready to Go! 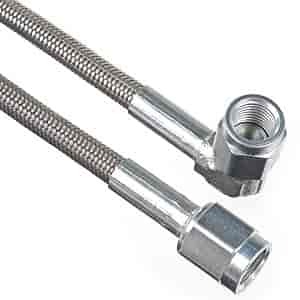 Earl's Speed-Flex Lines feature extruded PTFE wrapped in a sheath of braided stainless steel wire for a durable pre-assemble hose. Each line comes complete with permanent Earl's Speed-Flex Hose Ends and is pressure tested up to 4000 psi!